The water city of Spandau is characterized by vast views of the Havel River and a number of historically and urbanistically remarkable industrial buildings. 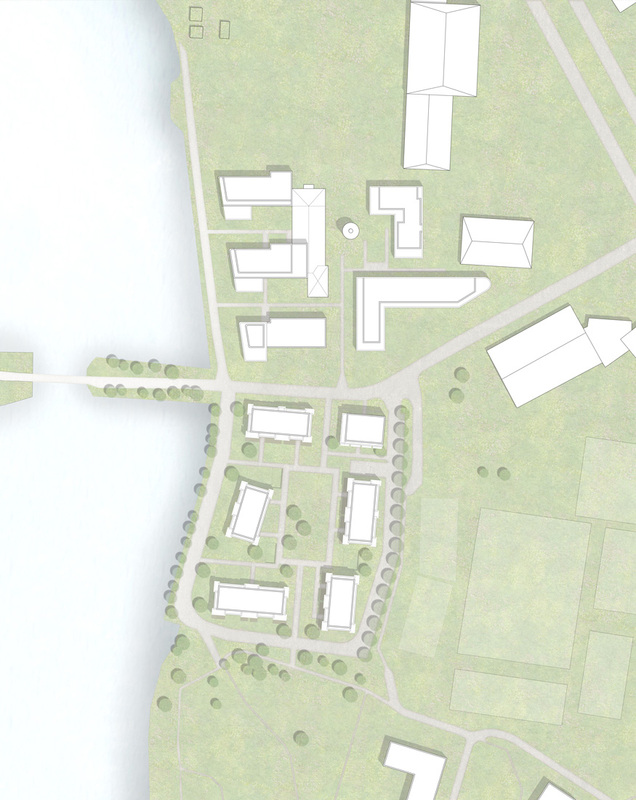 The new district on Kleine Eiswerder Street is located opposite the island of Eiswerder on the eastern bank of the Havel. The design is integrated into the environment through visual axes between the solitary structures, while also bringing the attractive landscape into the site. 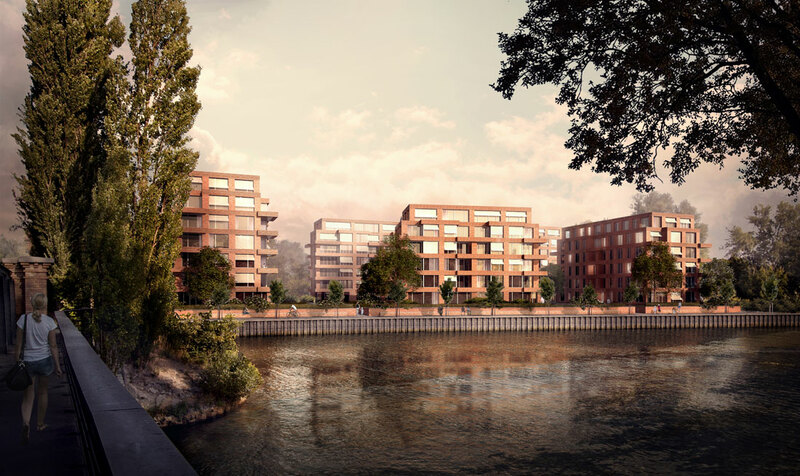 The six-storey buildings are planned to be lower toward the Havel River bank and Krienicke Park boundaries to the south, than to the northern and eastern boundaries of the property. This height gradation emphasizes the orientation of the ensemble to the park and the Havel River. 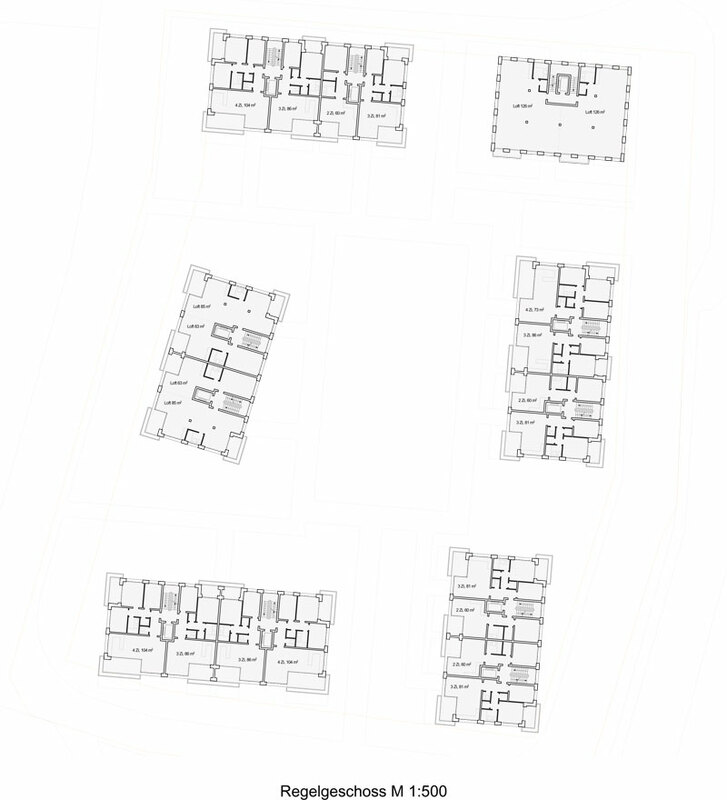 For each building, the two middle apartments transverse the volume, so as to get light and ventilation through both sides. The two apartments at the ends of the building are oriented in three directions. Each apartment has large individual outdoor spaces, eg. terraces, loggias or balconies with large plant troughs. All apartments have a clear view of the Havel River. The building is constructed on a flat plateau, approx. 1.35 m above the ground level of the Hochparterres. The parking garage is in the basement. 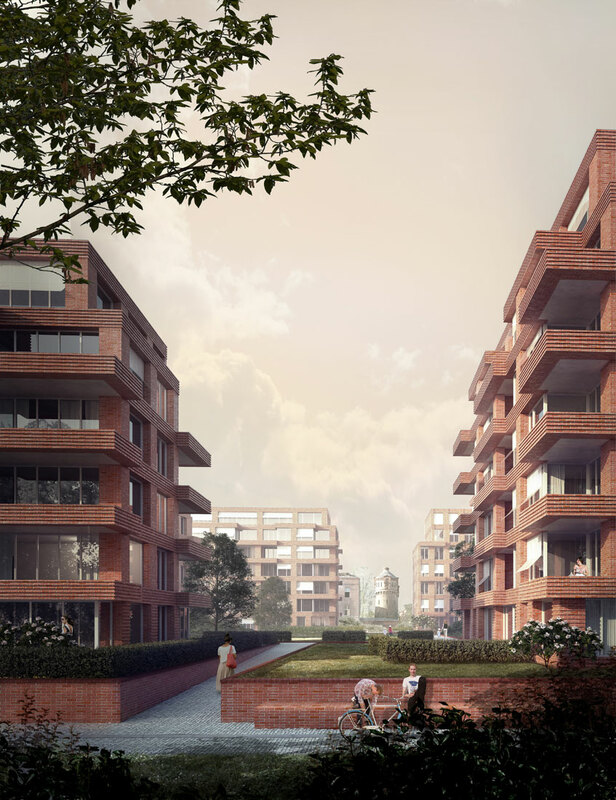 Large private garden areas, which belong to the mezzanine / ground floor apartments, and the central open space complete the attractive and high quality residential complex.